An interesting story with a twist at the end. 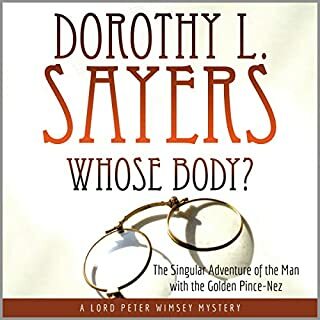 Mild-mannered, inoffensive architect Alfred Thipps finds himself in big trouble when, in preparing to take his morning bath, he finds the tub already occupied by a dead body, wearing nothing but a pair of gold pince-nez glasses. Stolid, unimaginative Police Inspector Sugg is convinced the body is that of Sir Reuben Levy, a famous Jewish financier who disappeared the night before - waving aside objections that, as the body in the tub was uncircumcised, it couldn't be Sir Reuben - and promptly arrests Thipps and his maid for murder. 'Truth is the Daughter of Time' is an old proverb. 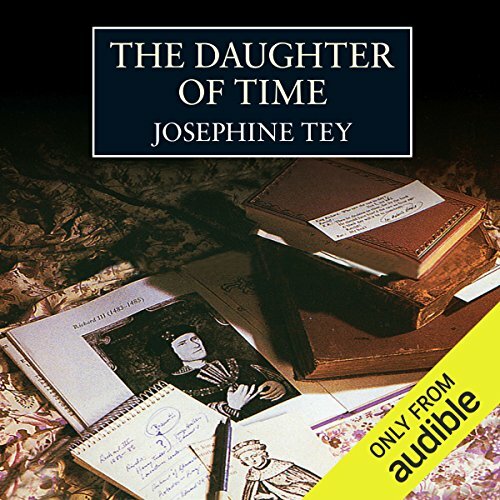 And The Daughter of Time is Josephine Tey's search for the truth about the murder of the Princes in the Tower. Was the hunchback, Richard III, the monster that Shakespeare and the history books have made him out to be? 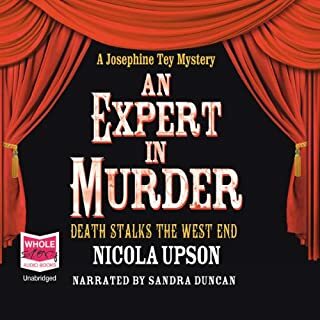 With real brilliance she conducts her search in the form of a crime novel, and her investigator is none other than her famous detective, Inspector Alan Grant, who starts to examine the centuries-old scandal. 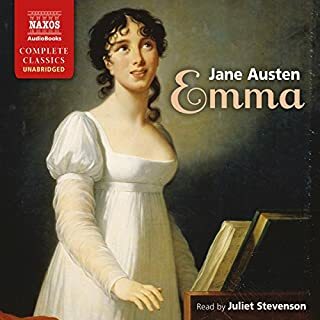 ©1951 The National Trust (P)2014 Audible, Inc. It is the rare writer that can maintain the reader’s interest when the setting of the entire novel is a single hospital room, and when the subject matter is a research into, and an analysis of, historical data. But that is exactly what Josephine Tey has done. And the competent and clear reading of the text adds a further attractive dimension to it: it is Derek Jacobi doing what he does so very well. 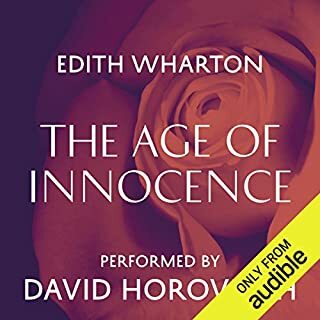 Having read the book decades ago, what a pleasure it has been to be able to listen to it now. As a fan of Richard III, I was intrigued by this take on an old tale. Derek Jacobi is an awesome narrator and I would probably have chosen this book for him alone but The Daughter of Time was recommended by another reader and I wasn't disappointed. However, I still think Margaret Beaufort was The likeliest candidate for the murders of the princes in the tower. It's nice that some are willing to look past the history books and Tudor propaganda. 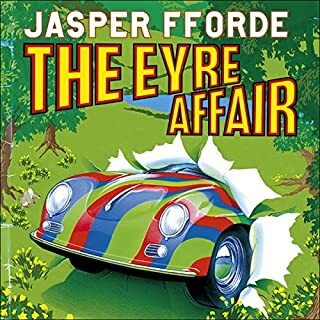 Would you try another book written by Josephine Tey or narrated by Derek Jacobi? I enjoyed the narration by Derek, but the story had way too many facts rather than fiction, i think i was expecting time travel to be involved and it wasn't that type of story at all. All much of a muchness, main character, policeman, lying in bed with an injury, delving into the history of Richard the third through history books and with the help of a younger man who is doing research for him. If you could play editor, what scene or scenes would you have cut from The Daughter of Time? I kept on with it as some of it was interesting as far as history goes but found it overall boring. I prefer to read a good fictional story that includes real history throughout, this was just one step above a history book, yawn. Would probably be an interesting read for history students on Richard third and that time, a bit better than reading an actual history book! This is a classic - for good reason! If you could sum up The Daughter of Time in three words, what would they be? This is the classic armchair mystery. The primary sleuth, Inspector Grant, is in hospital and looking for something to keep himself amused. In desperation, he turns to historical mysteries and becomes fascinated with the story of Richard III and the Princes in the Tower. Since he can't do his own research, he relies on a young American researcher to do his investigating for him. What could be a story of boring, second-hand historical research is, in fact, quite interesting to anyone who has studied history in school and has wondered how "they" decided what was historically correct. It makes one ask - does what is written in the history books actually make any sense when considering human nature? What does Derek Jacobi bring to the story that you wouldn?? ?t experience if you just read the book? The narrator, Derek Jacobi, is a joy to listen to. He uses subtle differences in accent and tone that make it easy to distinguish the "voices" of the characters, which makes it much more interesting for the listener. In 1990, the Crime Writers Association declared this the best detective novel ever. This may be true, it is one of my favorite ever, and Derek Jacobi's performance is amazing. I loved this very special detective novel. Having been brought up on the Tudors perspective of Richard III, Josephine Tey made me question my long held convictions. She weaves a very convincing case for the innocence of Richard III's involvement in the disappearance of the 'Princes in the Tower' as well as other long held beliefs. Even though the jury is still out for me, I am much better informed and from now on will keep an open mind. The unfolding of the story is very clever and the narrator did an excellent job. 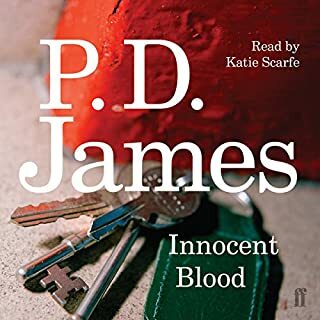 I don’t think I would call it the best mystery novel ever written although I can’t think of a better one at the moment - but yes really so very well written and narrated that it is clearly a cut above the average. 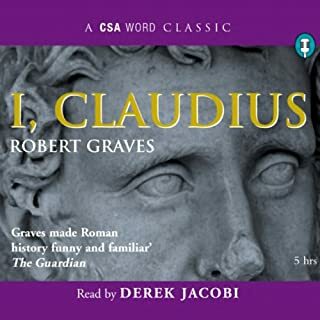 An immense pleasure to have Derek Jacobi in one's ears for this "who didn't do it" tale of how to keep yourself occupied while recovering in hospital. In her last novel published in 1951 Josephine Tey used a story involving her detective character Inspector Alan Grant to present her detailed research into Richard III and the murder of the Princes in the Tower. I first read this in the 70's and it made me realise that what we are told about people and events in history should not always be taken as the truth. With the possible discovery of King Richard's skeleton, I felt it was time to revisit this story through this excellent reading by Derek Jacobi. Truth is the Daughter of Time, as Josephine Tey's compelling narrative allows her readers to discover. I was delighted to come back to this classic Josephine Tey. 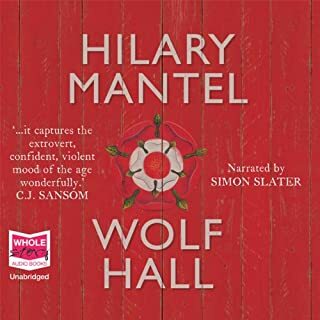 I first read it at school when a fiercely Richardian, anti Henry Vll history teacher was looking at the period. It's a brilliantly constructed re-examination of what was known at the time about Richard's history, given new resonance by the recent discovery in Leicester of the dead king's body. 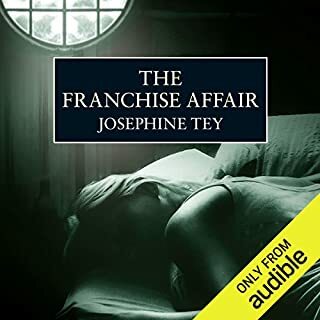 It's inspired me to listen to all of Tey's detective novels again starting with The Franchise Affair, another classic. Richard Didn't Do It ! The arguments concerning Richard the Third's part in the deaths of the Princes in the Tower have been resurrected recently because of the discovery of his body . 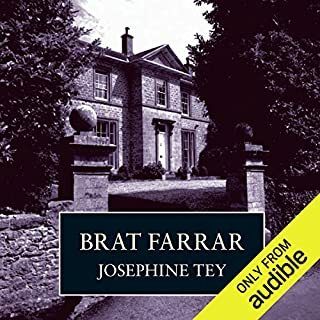 Josephine Tey wrote " The Daughter of Time " long before the renewed interest in the subject but her arguments are relevant and clearly explained through the detective work of a temporarily bedridden policeman and his increasingly enthusiastic researcher . Both are sceptical at first but become more and more convinced of Richard's innocence , as does the reader .This is a very readable book and a challenge to anyone who unthinkingly accepts the Tudor version of events on which we were all brought up . I had read all Ms Tey's books bar this one. I had put it off, thinking oh I am not that interested in the murder of the Princes, what a mistake. I listened to it straight through. Derek Jacobi reads superbly. 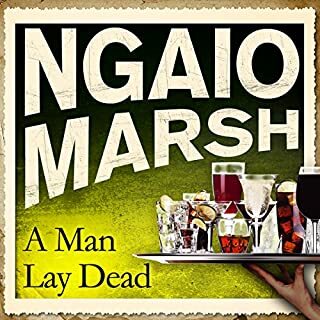 The story is gripping and past paced, showing the twists and turns of uncovering the truth, with interesting characters and observations about vested interests and bias and reputation along the way as temporarily bedbound Inspector Grant and his offsiders put the pieces together. So I thought I knew history. But what you think is fact can be hearsay, heresy to any good Police Officer. This is one of my favourite books of all time. Really makes your opinion of Richard the Third take on a sympathetic view instead of the one drummed into you at school and the character created by Shakespeare. Considering this book was written over 50 years ago very topical now Richard's remains have been found. Wish he could have been buried in York. The only city to declare at his death "what a good and honourable king died this day." What was one of the most memorable moments of The Daughter of Time? Proof that Richard did not murder the princes. Which character – as performed by Derek Jacobi – was your favourite? I found this book to be one of those that draws you in slowly and before you know it, you can't wait to get back to it. I started it while on a long solo drive. I was so entranced, that I arrived home with fewer stops. It was an easy listen. I will definitely keep in my library. For a cold winters weekend in the future. The voice of Derek Jacobi is always easy to listen to, his switch between characters was excellent and I began to forget that it was only one actor. If you like an intriguing historical mysteries, I recommend this one. What made the experience of listening to The Daughter of Time the most enjoyable? I first read this as a real paper and print book many years ago, and was fascinated by the mixture of fact, supposition and fiction, which is presented as a detective story. At the time I was swayed to a considerable degree of sympathy with King Richard. With the recent discovery of his remains and popular adaptations of other authors which present a complex picture of the man, this book is very topical. If you enjoy a good detective story, history and excellent writing, this is a great listen as well as a great read. I rarely read a book twice, but this is my third time round for Josephine Tey's Daughter of Time. It has levels of interest which reveal each time. Fact, Fiction, Supposition, all parts of a good detective novel, presented without the guns and chases. What could Derek Jacobi do wrong? 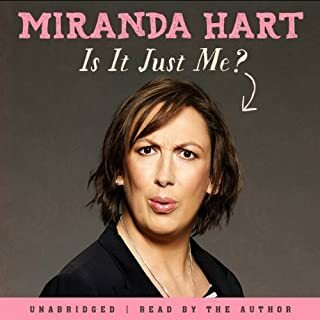 I would highly recommend this book whether you listen on the train or by the pool. I felt that this was a trifle tedious - not for me! But it was well written and would appeal to others who want detailed historical theories.